It is only a mild exaggeration to say that this time of year is truly a travel planner's version of 'Christmas in July'. It can be wildly hectic as itineraries are created and deadlines are met--but the results always feel like gifts. Each trip a set of new adventures just waiting to happen. This week's post focuses on one these newly created upcoming adventures--'Prague and The Czech-Austrian Wine Country', offered in partnership with film historian Marsha Gordon and architect Louis Cherry. In fact, since no one it seems can create more excitement about this city and region than these two. I have asked Marsha and Louis to do this week's post The photos are Louis's; the text is Marsha's; the video clip is courtesy of Sam Adams--and all of it is terrific! The capital of the Czech Republic, Prague is an absolutely magical and beautiful city. I have spent more than 3 months there over the course of the past few years, and I can’t get enough of it. It offers centuries of history around every corner. There’s an important reason for that. The only major European city to escape being extensively bombed during World War II, Prague boasts uniquely rich architecture and cultural fabric that is unparalleled in any city in Europe, with buildings that date to its time as a capital of the Holy Roman Empire nestled amidst Medieval, Gothic, Baroque, Renaissance, Art Nouveau, Modern, and even Cubist buildings. It is a city of stunning churches, theaters, cafes, museums, galleries, and castles. The city center is walkable, safe, and full of amazing places to eat, shop, drink, and visit. 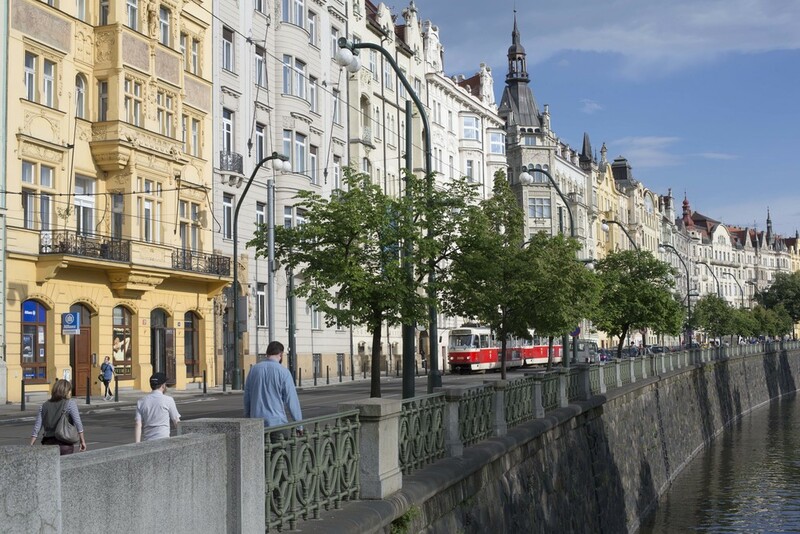 The city center of Prague, where we will stay, is itself a UNESCO world heritage site (click here), with the Vlatava river running through it. Because Prague is relatively small in comparison to cities like London and Paris, with wending cobblestone streets and an extensive tram system, you can really experience the city in a week’s time. And because the tourist season there doesn’t kick into high gear until June and July, you can do so on our trip before the city is filled with visitors from all over the world looking to experience what many consider to be the most beautiful city in all of Europe. Getting to Prague from the United States is easy. There is a nonstop American Airlines flight from Raleigh to London, which offers many direct connections to Prague. There is also a daily direct flight from JFK in New York if you’d rather make your connection stateside. 2) Prosím (pro-seem) is a great multi-function word, meaning “please,” “you’re welcome,” and also “I don’t understand you”! That’s my go-to word. 3) Děkuju (dyeh-kooyoo) is the ever important, “thank you.” It also take some practice to say correctly, and I’m not sure I’m there yet. We have planned a week of incredible culinary, art, architecture, and cultural adventures, followed by an add-on trip to Brno for a visit at an amazing restored home designed by Mies van der Rohe in the late 1920s, and some relaxation in the wine country of Czech Republic and Austria, with some meanderings around the medieval villages in which the grapes are grown and wine is produced. Want to hear more? 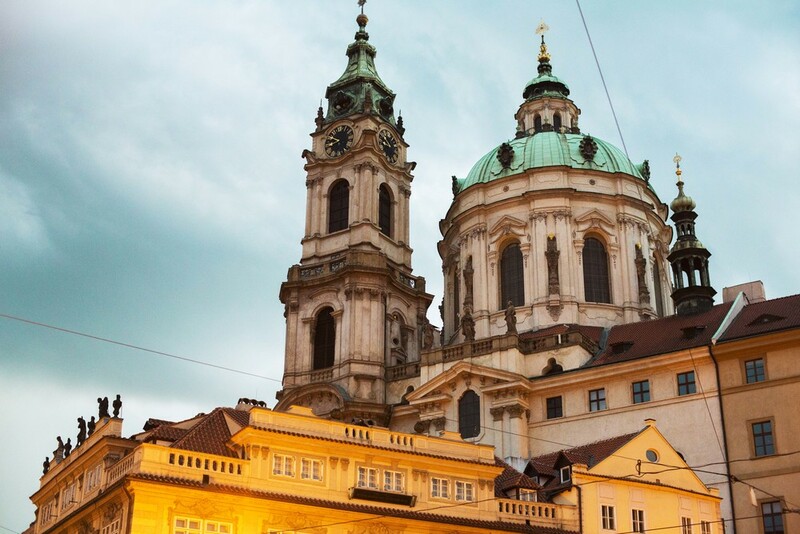 Click on the video link below to hear Marsha and Louis speak at a recent gathering about the many wonders of Prague and the surrounding region.